During tonight’s Showtime triple header from the StubHub Center in Carson, Calif., Golden Boy Promotions president Oscar De La Hoya took a minute to discuss the latest with his company. There was a huge shakeup recently, as it was revealed that longtime Golden Boy CEO Richard Schaefer had left the company. There had been rumblings about De La Hoya and Schaefer arguing but Oscar refused to shed too much light into the breakup. 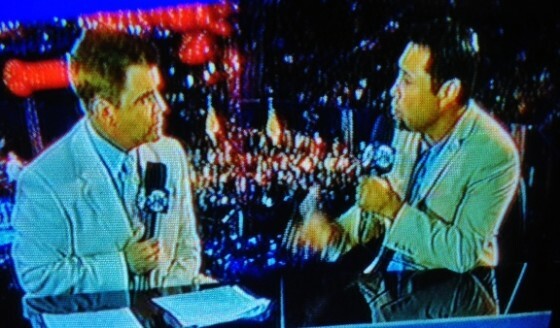 “I had one agenda and he had another,” De La Hoya explained. De Le Hoya was quick to highlight his desire to work with the sport’s biggest star at the moment, Floyd Mayweather. Mayweather had also revealed, through his advisor Leonard Ellerbe, that he would be distancing himself from Golden Boy Promotions also, yet De La Hoya doesn’t seem deterred.